As I wrote yesterday, I am not requiring people whose schedule does not allow further activities to follow rules. However, I was remiss in not providing the rules, as you may wish to take advantage of this opportunity to nominate colleagues. It was a pleasure for me to do so. In fact, I would have liked to nominate more of my colleagues, but followed the rules. Allow me to thank Mr. Andrés Cifuentes once again. His website is very informative and interesting. It allows me to read posts written in Spanish. I once worked in Spanish exporting flour from Canada to Latin America. My task was to acknowledge receipt of an order, to place the order, and to make sure the order was shipped from a North-American port. In other words, once a customer had placed an order, I looked after the details. Four months later, I returned to University. It had been a summer job. We worked on the docks in Vancouver and whenever a ship came, we socialized with the Captain and his crew. They always prepared a dinner for us. It was very pleasant. We were a team of four and we never spoke of word of English. I then took courses in Spanish literature. Two of my nominees are specialists, but in areas that combine expertise in at least two fields. 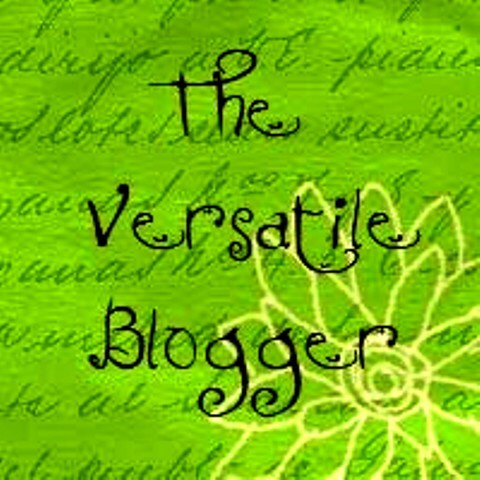 I wish to thank WordPress author Andrés Cifuentes for nominating me for the above prize. I am most thankful for this nomination. I have discovered little treasures on Mr. Andrés’ site, a site he shares with colleagues. There are rules attached to premios (prizes) one of which is to nominate other colleagues. Whom does one chose? Every text unveils a vision that is both unique and universal. I will nominate persons whose posts I follow, or try to. However, I will not ask that you to nominate anyone for this prize unless you wish to do so. Some of you haven’t the time to nominate 15 colleagues. I hope I am not offending Mr. Cifuentes. Days go by at an alarming rate. I had a birthday in July, on the same day of the month as Jean de La Fontaine. He will live forever in the fables to which he imparted eternity. As for me, on that particular birthday, I realized that my life was a peau de chagrin (shrinking shagreen). 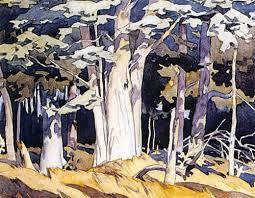 The painting featured above is by A. J. Casson, a Canadian artist who was a member of the Group of Seven. At the foot of this post, I have inserted a video showing Yehudi Menuhin playing the violin with his friend French-Canadian fiddler Jean Carignan. You will notice that Canadian fiddlers have been influenced by the music of Ireland and Scotland. The belt worn by Jean Carignan is the traditional ceinture fléchée, a belt with arrows. The music was composed by Québec composer André Gagnon. It is not a very good recording, but the event is memorable. 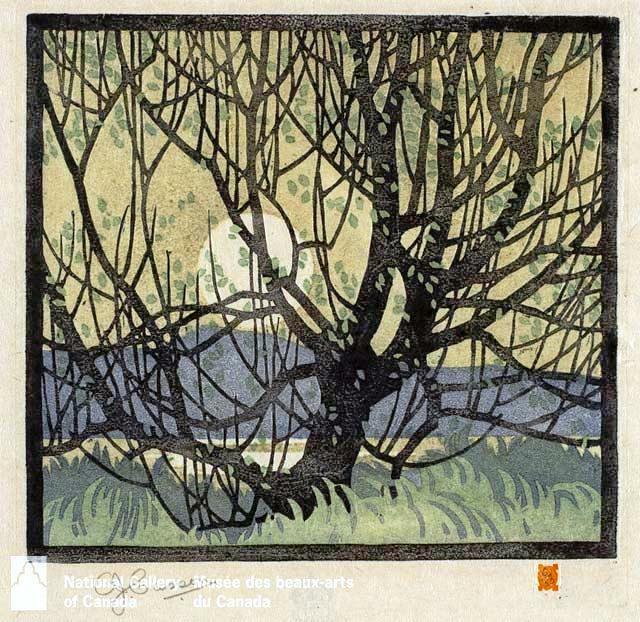 I had never seen this particular Casson: an indoors Casson resembling an indoors Micheline. I enjoy life indoors, but would love to have conservatory: a green house. Occasionally, I do go out carrying my camera in the hope of finding beautiful landscapes. I then return home and paint. There is a degree of resemblance between what I am painting and what is on the photograph, but my eyes seem to process and recreate what I am seeing. 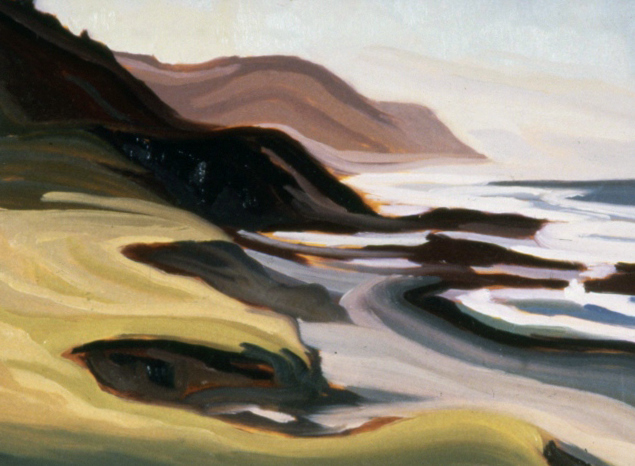 When I lived in Nova Scotia, once a week, I would join a group of artists, my friends. First, we shared a glass of wine and then we started to draw the model we had hired for the evening. To begin with, we drew very quickly: no more than a few minutes, but we graduated to longer sessions. We were of course drawing the model from different angles, but we would compare our drawings and each artist had his or her style, whatever the angle. These artists were kind to me. I was a self-taught artist except for a few lessons on how to do watercolours and etchings. My preparation was otherwise academic. What I knew was the history of art. However, my artist friends, some of whom were professional artists, provided little suggestions that went a long way. It was a form of apprenticeship. The little tips helped, but in the end artists show their vision of the world and of the multitude of little objects that surround them and may have surrounded them a life time. By the way, have you read Colltales on Elvis Presley: http://colltales.com/? What an article. I was just browsing the internet in search of sites that feature artists who have guided my own short career as an artist. 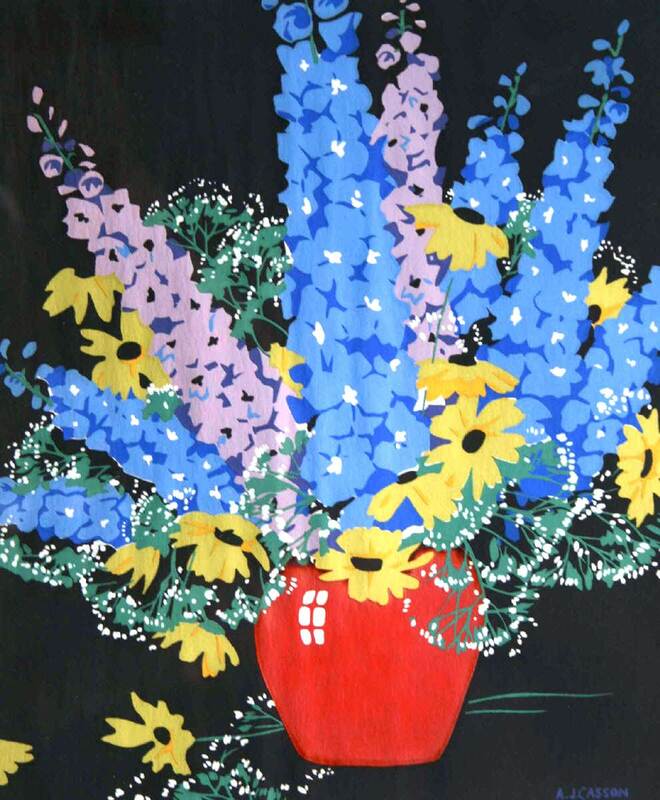 Anna Syperek gave me the encouragement that led me to take paintings to Lygthesome Gallery. However, one day, I decided to show some of my paintings to Dr Price, my ophthalmologist and an artist. Well, he also made several helpful comments. I like to paint big, rhythmic things. I like bold colours – like that poem, like the landscape itself – something that people can’t walk past. I don’t want them to be able to walk past. Paul has a profession. It must be difficult for him to find the time and energy to paint. Yet very few artists are more devoted to their art than Paul, and very few are more productive. 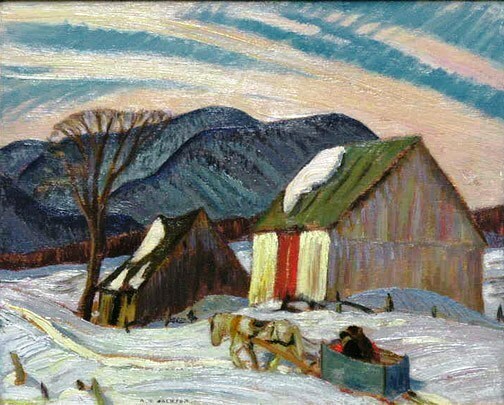 Dr Price lengthens the days, weeks and months to produce yet another beautiful Canadian painting. 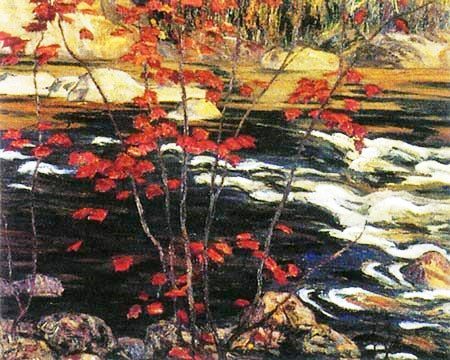 However, although he seems to have been influenced by the Group of Seven, Paul Price does not paint Algonkian landscapes. 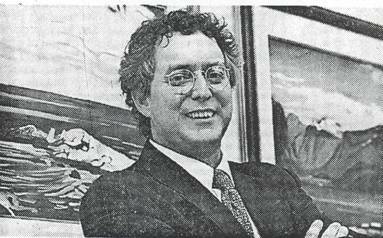 He paints Newfoundland and Labrador, but not Newfoundland and Labrador as they are. Paul paints Newfoundland and Labrador as he sees them. 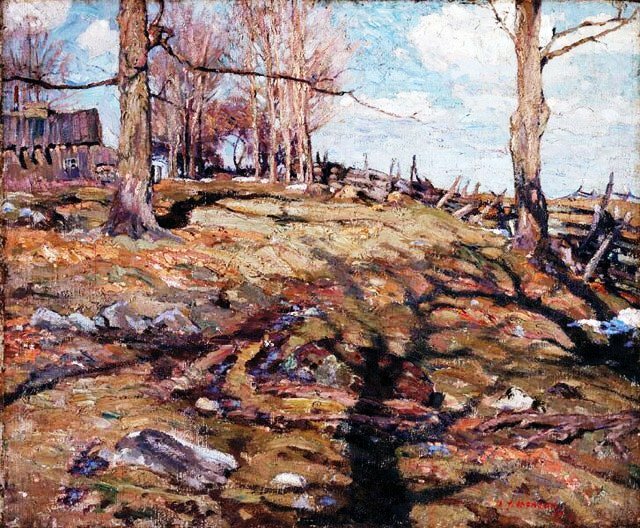 His landscapes and seascapes are conditioned by a personal vision visited upon landscapes and seascapes. His paintings are not simply representational, but re-presentational, as I used the term in my recent blog on “The Velveteen Rabbit and animism.” Paul’s paintings reveal a creative mind. Paul’s biography is on websites that feature painting: oils, watercolours, prints, etc. from his abundant collection. Paul is very eclectic. In fact, he does not always paint landscapes. 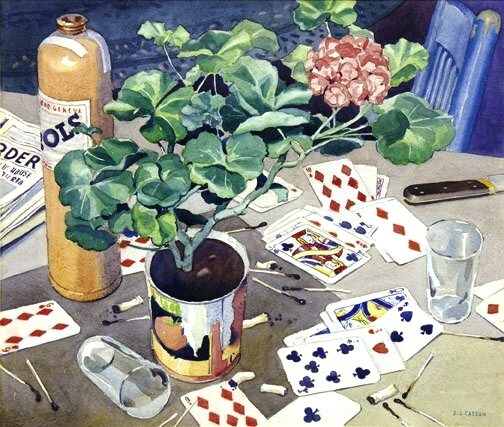 Moreover, the works of other artists are exhibited in his Gallery. I may never see Paul again, but I wish to salute a gentleman who has already stretched his life beyond the years afforded him by destiny. My love to Paul and my love to my readers. If I am tired, I make mistakes. There are days when I should not get out of bed for fear of having a car accidents or pushing the wrong button. Well, I just trashed my last post, but WordPress features a restore application. So, it has been published again. This is unforgivable, but it is, alas, all too human. To continue the story, yesterday I was tired yet writing a post on what constitutes for me a sensitive subject: the linguistic kerfuffles of my beloved Canada. I was born to a French-Irish family (on my father’s side) and, although French is my mother tongue, I speak the two languages of my country and other languages. In fact, I have developed the ability to figure out the meaning of so-called foreign words. But let me go back to my original story: making mistakes. If the subject is a sensitive issue, I make spelling errors, I repeat what has already been said. I displace letters, i.e. “sacred” become “scared” and mais (French for “but”) becomes amis or sami or masi, etc. So, I don’t know how I managed to publish my post. Yet, I think it is important for people to know how we got from the past to the present and a lot of people cannot afford an education. At any rate, the linguistic malaise in Quebec is, to a large extent, an inherited burden. The Rebellions of 1837 are indeed a key moment not only in the growth of responsible government, but also in the growth of certain less-than-perfect movements. I know people who believe that the patriotes (Fr) and patriots (En) are patriotes. In their eyes, there never was a William Lyon Mackenzie who had to go into hiding longer than any other rebel. Nor was there a Lount, a Matthews or a Doan who were hanged because they were patriots and not by French-speaking Canadians. It’s perturbing. Then I hear the other side. Yes, little John was at Bishop’s, in Lennoxville, Quebec for four years and never had to use a word of French “which is how it should be.” That too is rather perturbing. I spent most of my life outside Quebec and to buy a loaf of bread, I had to call it a loaf of bread. Not that little John should have known the word pain. There is nothing wrong with being unilingual. But in order for little John to get his bread in English from a French-speaking person, that person had to know English. Again, there is nothing wrong with being unilingual, but is it necessary to boast about it and to say that this is how it should be? By what standard may I ask? So now you know why, whenever this subject comes up (i.e, bilingual Canada), I forget to feed the cat, who fortunately has a powerful language of his own and returns me to my senses, but I also lose, temporarily, my ability to concentrate. So, will you please forgive me for making mistakes. I will end this frivolous post by telling you a little story. Once, “qualified” (they were members of the union) Ottawa translators who were preparing documents that would be distributed to persons participating in a summit, yes a summit, translated “pool of secretaries” so correctly that they wrote “piscine (swimming-pool) de secrétaires.” It’s a slippery subject. The moral of that story is that if you want a document translated, ask a bilingual person to do the job. 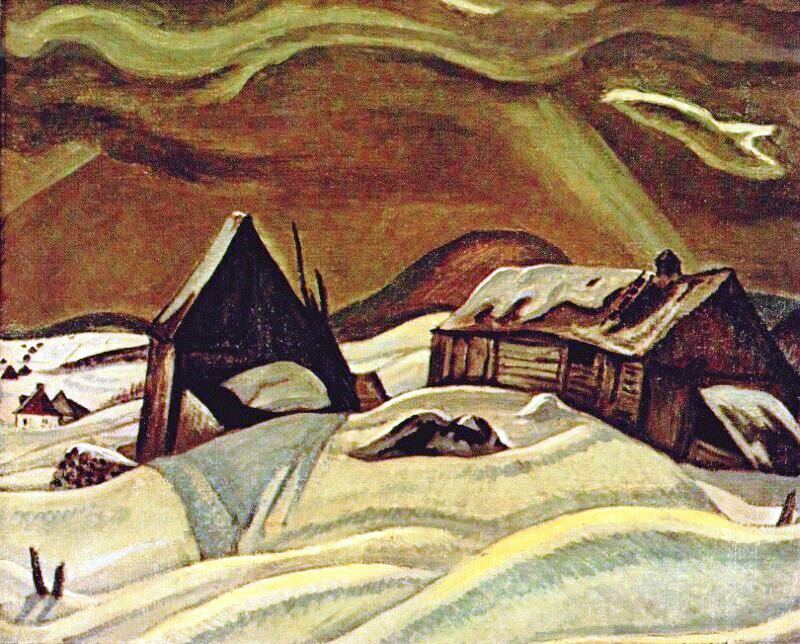 This painting is almost as beloved of Canadians as Tom Thomson‘s Jack Pine and The West Wind. At the very top of the list is Tom Tomson’s Jack Pine, but Casson’s has its own swirdling flow. 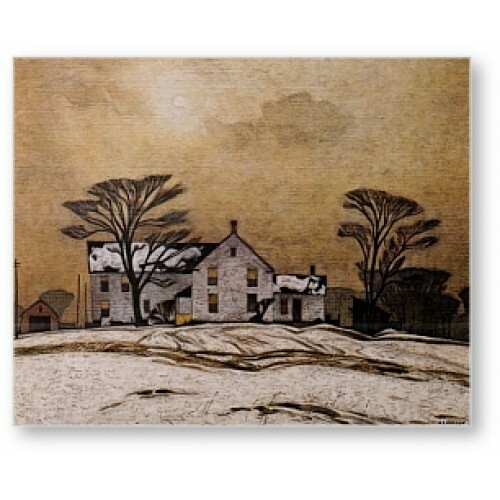 Alfred Joseph Casson (May 17, 1898 – February 20, 1992) was a member of the Group of Seven and the Group of Seven remains the most important group of artists Canada has known. However, I do not think Québécois would relate to these paintings in as visceral a way as do other Canadians, but outside Quebec, they are considered a national treasure: emblems. Unlike Tom Tomson, A. J. Casson actually belonged to the Group. He was introduced to its members by Franklin Carmichael. 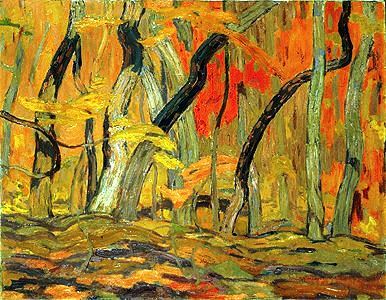 Members of the original Group of Seven are Franklin Carmichael (1890–1945), Lawren Harris (1885–1970), A. Y. Jackson (1882–1972), Frank Johnston (1888–1949), Arthur Lismer (1885–1969), J. E. H. MacDonald (1873–1932), and Frederick Varley (1881–1969). From time to time, I will feature a member of the group. Having described a defining rebellion in Canada, it is time I returned to gentler shores and cozy interiors. 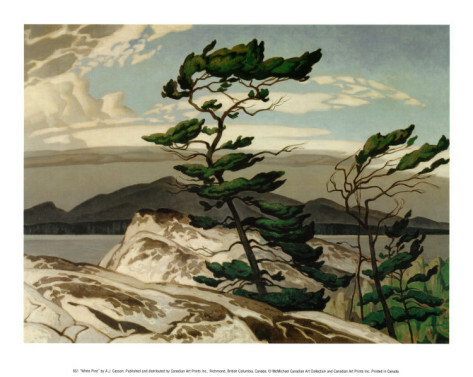 Tom Thomson’s The West Wind (1917) also constitutes a powerful symbol of Canada. In this respect, it stands next to The Jack Pine. Tom Thomson loved the North and lived in Algonquin Park. But both The Jack Pine and The West Wind express solitude. Nature encloses man, but man nevertheless stands alone. 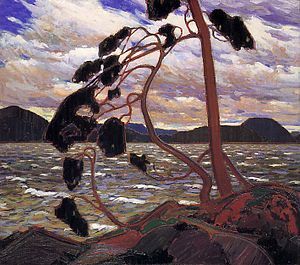 Today I am featuring Tom Thomson’s The West Wind as I continue to investigate the 1837-1838 Rebellions, which took place in both Canadas. The Rebellions of 1837-1938 constitute so defining a moment in Canadian history that I need to research these events very carefully. Please enjoy The West Wind. 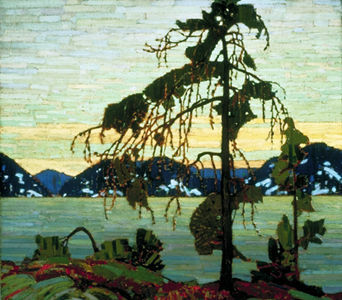 Tom Thomson was associated with the Group of Seven‘s art and the Group of Seven’s art is a monument to Canada’s history. My musical offering for today is Lied number 14 of Mendelssohn’s 49 Lieder ohne Worte (Songs without Words). It is played by Daniel Barenboim. I chose the fourteenth Lied to mark an anniversary. A hundred years ago, on April 14, 1912, the seemingly invincible Titanic sank, reaping the lives of some 1,500 of its passengers. Ironically, Mendelssohn’s Lied is entitled Lost Happiness.